What are the benefits of engaging with poetry? When people read or hear poetry, how can we express the value of their experience? What is the role of poetry at different stages of lifelong learning? Our project takes an exciting, interdisciplinary approach to answering these important questions. ‘The Uses of Poetry’ brings together researchers and practitioners from literature, psychology, education, philosophy, drama and creative writing to start to develop new research methods for understanding, articulating and measuring the benefits of poetry at all stages of lifelong learning. When it comes to questions of cultural value, poetry can often be overlooked in favour of other kinds of art and culture – and even other kinds of literature. Much has been written, for example, about the value of creative writing as an emotional outlet and as a mode of expression for people in challenging situations (from post-traumatic shock to prisons), but much less about what happens when individuals encounter an existing piece of poetry, whether for the first or the hundredth time. Throughout the project, we have been particularly interested in the ways in which poetry is taught. In mainstream education, from schools to university, an analytical or cognitive approach to poetry is dominant. 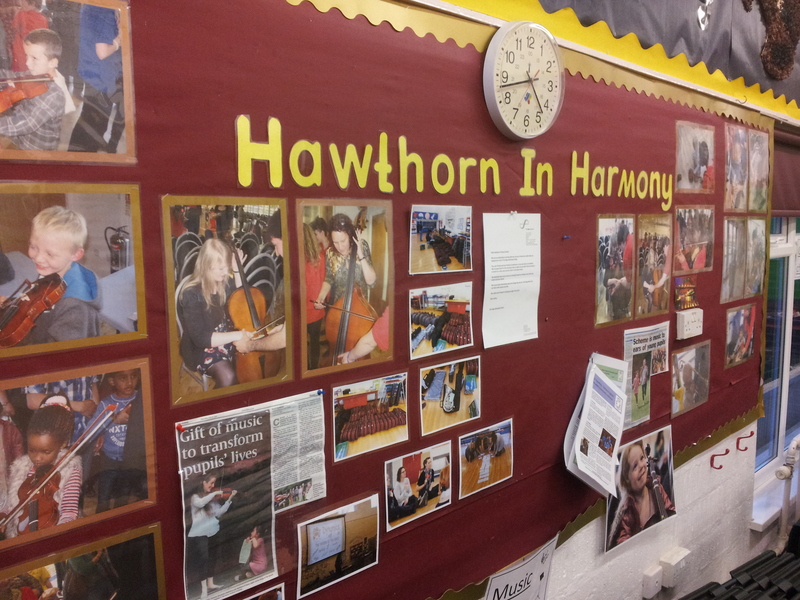 By contrast, outside mainstream education, therapeutic and community based projects tend to emphasise the emotional or affective dimensions of poetry. There is, at present, little connection between these approaches. We as a team are keen to discover, through our interdisciplinary discussions and practical experiments, if these cognitive and affective dimensions of poetry might beneficially be connected. Our emerging results suggest that we will be able to offer some initial recommendations for the future teaching of poetry. Our project is, by nature, exploratory, testing out new ways of talking about poetry in a planned series of interdisciplinary conversations, meetings and seminars. After our initial areas of disciplinary insight and expertise emerged in early meetings, our core team of eight participants worked in cross-disciplinary pairs to explore key issues relating to ‘the uses of poetry’. These have included: the role of poetry in autobiographical memory (led by a pair of researchers from Psychology and Creative Writing); the relationship between poetry and ‘embodied learning’ (Drama and Psychology); the benefits of poetry as distinct from other kinds of writing (Literature and Education) and the applications of poetry (Philosophy and Literature). The interdisciplinary pairs have proposed ways of testing the benefits of poetry in each of these situations; and, as a team, we have discussed and developed their ideas, informed by an extensive literature review by Research Fellow Dr Karen Simecek (University of Birmingham). This approach has led to the piloting of some innovative research techniques. For example, to test the benefits of incorporating a more ‘affect’-oriented approach from ‘applied poetry’ into mainstream education, we have combined literary seminar discussion (designed by Literature colleagues) with emotion-focussed questions (proposed by our team member who uses poetry in her work with post-traumatic patients); and enlisted a combination of psychology questionnaires and discourse analysis to evaluate the cognitive and affective orientation of the participants before, during and afterwards. Likewise, we have combined historical perspectives on the value of poetry with a practical experiment that gauges the relative effects of poetry and prose on readers and hearers; and we have combined rehearsal techniques from drama with new insights in psychology into the effectiveness of ‘embodied learning’ to understand the effects of movement on memory and learning. Along the way, we have considered the effects of encountering poetry in groups and social settings rather than alone, with fascinating results. In developing new research methods for measuring the value of engaging with poetry, we have greatly benefited from conversations with other participants in the AHRC Cultural Value Project – in particular Philip Davis’s work on the value and benefits of The Reader Organisation’s Volunteer Reader Scheme; and the exploration of Shakespeare’s sonnets in Peter Lamarque and Gregory Currie’s ‘Cognitive and Aesthetic Values in Cultural Artefacts’ project. Our own ‘Uses of Poetry’ blog – usesofpoetry.wordpress.com – draws connections with relevant poetry projects and discussions around the world. This week, we tested out some of our new measures of the value of poetry at an exciting World War One poetry event for members of the public in Stratford-upon-Avon. We are looking forward to reporting back on the results! Dr Kate Rumbold (University of Birmingham) is Principal Investigator on the ‘Uses of Poetry’ project. She is working on a six-month project with co-investigators Prof. Patricia Riddell (Head of Psychology, University of Reading), Prof. Viv Ellis (Head of Education, Brunel University), Research Fellow Dr Karen Simecek (University of Birmingham) and team members Dr Abigail Williams (University of Oxford), Dr Jaq Bessell (Guildford School of Acting, University of Surrey), Dr Clare Rathbone (Oxford Brookes University) and Emma Howell (Ark Project). 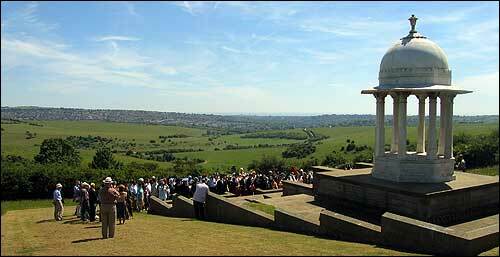 The Chattri Memorial and annual service, on the Downs near Brighton, dedicated to the Indian soldiers who fought on the Western Front during the First World War. Photo courtesy Bert Williams. This research explores the continuing and changing processes of valuation at the Chattri World War I Memorial, which has stood in a remote part of the Sussex Downs since 1921. The marble domed Chattri, granite platform and surrounding gardens were constructed to honour the 53 soldiers from undivided-India who were cremated on this spot. Since that time the Chattri has been through phases of disuse, pilgrimage and ceremony. I am studying the Chattri as a spiritual place, heritage object, and space of cultural practices, complicating our ideas about what constitutes Culture and Value. This memorial is a fascinating example of Culture framed not as ‘the arts’ or as ‘the best that has been thought and known’, nor even as an anthropological ‘whole way of life’ (Griswold, 2008), but as the symbolic, expressive and sometimes spiritual realm of human behaviour. Instigated, as with most monuments, as a political tool (Hyson & Lester, 2012), the memorial’s impact lies in its extraordinary affective presence. Physically located high on a wind-swept down, with an ‘exotic’ architectural style, and possessing a unique minority ethnic history, the site has been animated each year since 1951 by a cultural ceremony that is both solemn and formal, and social and joyous, producing in participants a sense of an electric resonance and importance. The British government, Brighton city, the British Legion, and now a consortium of local residents with Sikh, Indian, Caribbean and British ties have all had a hand in the memorialising practices at the Chattri. My research will piece together a narrative of changing senses of valuation expressed through the activities and performances of people at the site. This will come from my personal experience and scrutiny of the activities; analysis of media discourses over the years, and observations of participants and organisers gleaned through interviews and workshop. I am curious to inspect my own ideas on the factors that affect valuation, in relation to the ideas that emerge from participants. One of the themes I will interrogate is how the ‘publicness’ of memorialising structures and activities set conditions of valuation – that such in-public displays and performances make strong intentional statements of value. Monuments are peculiar fixed objects of heritage characterised by this intention to proclaim value, and through their public prominence and permanence, project that value (and those values) into the future. The annual event is itself an in-public ritual of self-presentation on the part of organisers and participants – a form of ‘public culture’. As symbolic and expressive performances, intentionally situated in a public setting, these ceremonial activities differ from everyday cultural participation or arts spectatorship. But what is considered important changes, runs into conflicts, and evolves, depending on the subjectivities and perspectives of those involved. Who is deemed a ‘stakeholder’ in these processes, or who self-selects as stakeholder, determines who gets to speak and define value not only within dominant discourses but within the minority communities of interest. How do such communities of interest come together as ‘publics’, determine who may contribute, and present their ‘selves’ in-public in statements of valuation? And how will participants choose to express their senses of value to me as I seek them out as research subjects? We hope that by using discourse analysis we will be able to tease out answers to such questions. I anticipate that this study, to be completed in the midst of the centenary of WWI, will lead to further research as interest in the war builds over the next four years, and as the experiences of non-Western war participants becomes a source of contention. The Chattri is now isolated and is operated by self-organized and voluntary participants, but this could change if the Chattri Group choose to get involved in the broader commemorations. How value is defined and supported by outside agencies could (again) influence the shape and practices of those who support the memorial.